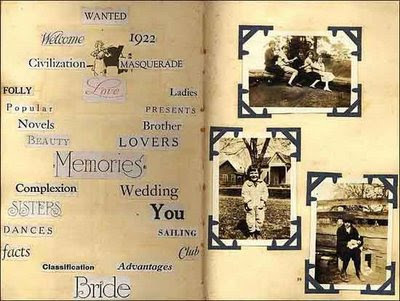 Today Shades wanders the web and looks at scrapboooks of old in anticipation of next week's review of the book Scrapbooks: An American History. Fascinating! Thomas Jefferson kept scrapbooks, as did Mark Twain, Anne Sexton and Lillian Hellman. Scrapbooking is huge. In 2008, the business of selling supplies for scrappers to preserve their family photos totaled 3 billion dollars. Our ancestors created scrapbooks, but their efforts were far more "green" than the scrappers of today. Today if you want it to look old, you buy new. Our ancestors scrapped the ephemera around them. I find the old examples fascinating as has Jessica Helfand the author of, Scrapbooks: An American Heritage, which will be reviewed here on Shades next week. 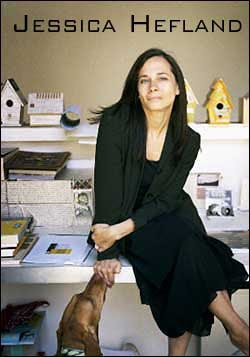 In researching her book Jessica found some amazing examples of scrapbooks of old and has placed a few of them online. One of those online is the scrapbook of Lydia Blanchard. Lydia came from a distinguished family in Natchitoches, Louisiana. She kept a detailed scrapbook of her adventures that profiles life in the South during 1920. Many residents of Natchitoches have connections to Lydia's scrapbook. Do you have a connection to Lydia or Natchitoches, Louisiana? Read the scrapbook. Do you recognize any of the people in the pictures? What a gift this would be if you did! Long before scrapbooking stores would sell inspirational words with adhesive backing, Lydia cut out words she loved and pasted them into her book. I love how this page begins with playful words like "folly" and "masquerade" and concludes with "Bride." Even if you don’t have a connection, time spent with history is time well spent. You may browse the entire scrapbook online. Once the book was written Jessica Hefland donated Lydia's scrapbook to The Natchitoches Genealogical and Historical Association. Jessica is a Shades kind of woman. I've got my Aunty's old scrapbook, but it's nothing arty, just photos and postcards lovingly pasted into a writing book. It's that slice of life, the things they saved and considered important that fascinates me. And "lovingly" is the most important word. very nice, does your husband know that you do this...he must be a really nice guy to let you spend so much time doing this! And he has no idea how really good I am at this. Oh yeah, the post... well, thanks for the heads-up on this book. My library system has gotten it but it's not in circulation yet, and guess who is now FIRST on the hold list! Yay!